Happy new year, everyone! There's something about the start of a brand new year that truly fills me with excitement for all that's to come and I love the prospect of a 'clean slate' - 366 days of opportunity and potential that are just waiting for us to live them. Magical. Last year I put together a post entitled '2014: The Highlight Reel' and I loved reading it for the first time in a year again today, so I thought it fitting that we give things another whirl and took a look at some of the 'best bits' of the past twelve months. 2015 began with bagpipes on the London Underground, which was rather jolly and memorable, and then things took a turn for the worst. Winter is often a difficult time for those of us living with chronic illnesses, and combined with the hustle and bustle of Christmas it can be a recipe for disaster. As a hardworking and driven person I find being bedbound really, really tough and it was made worse by the fact that I'd just started my YouTube channel and was feeling so excited about filming and uploading. I hit the ground crawling and it was a pretty miserable old time, which I got off my chest in this post. Luckily, things started looking up again as February rolled around and I was able to get back on YouTube, woo! Queen Jean and I also become seriously, seriously obsessed with Pretty Little Liars, but I won't bore you with the details of our in-depth 'who's the hottest male character?' chat - you're either welcome, or tweet me if you wanna discuss. In March (on the 7th, to be exact) I celebrated my first blog anniversary and I have to say, it left me quite emotional. Sadly, I feel like I couldn't quite keep up with my blog in 2015 as I was so preoccupied with YouTube, but for a long time my blog was one of my only lifelines. The amount of incredible people I've met through blogging and the opportunities that have come my way astound me and it'll always be my 'first love' when it comes to sharing online. I've got such a soft spot for this corner of the web and I hope to be good pals with it for many more years to come. In the same month I had my first ever guest on my channel and of course it had to be my hilarious oldest best mate, Josh. 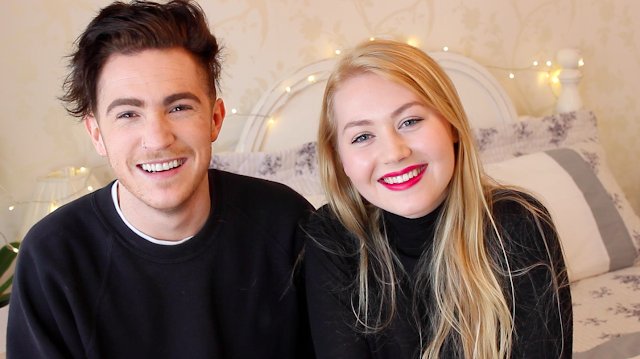 We did The Accent Challenge and it's definitely one of my favourite videos to date. My favourite human being Will and I took a special trip down to Sandwich in Kent in April to stay with the always fabulous Steph and Dom Parker, who you might know from Channel 4's Gogglebox. We've become experts in 'making the most of it' even when I'm not well, and we had the most lovely weekend full of those 'ooh, must mentally photograph this moment in time for the old memory bank' junctures. Give me a cosy B&B, a British beach and my hand in his and you've got me at my happiest. 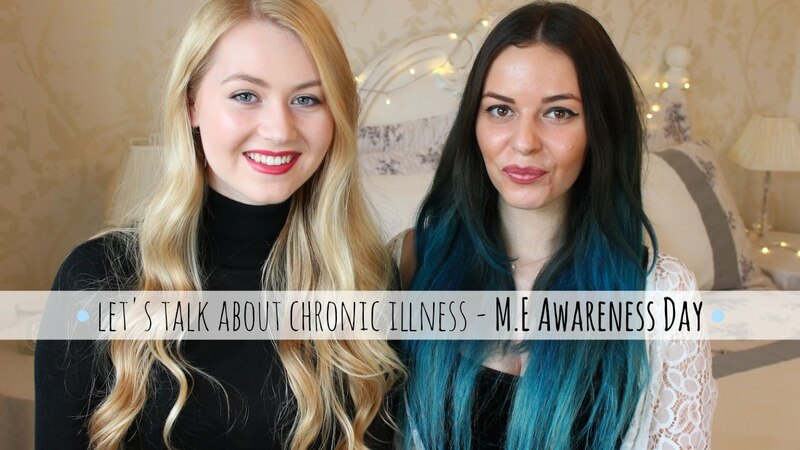 M.E Awareness Week takes place in May and this year my superwoman friend Hayley and I decided to film a video for my channel on International M.E Awareness Day (the 12th!) explaining what the illness is, how it affects sufferers and why it deserves more recognition and respect. We were very keen to open people's eyes to how severe M.E can be, and the response was fantastic - lots of people said we'd helped them to understand and our fellow sufferers said we did them justice which was all we could have possibly hoped for. Lots of fundraising events also went on and I reached out to the public for their help here, and look forward to getting stuck in again this year. Looking back, June was a month in which I wanted to spread as much positivity as I possibly could. I wrote a post that means the absolute world to me called 'You Got This', which is often my mantra and I can't tell you how uplifted it makes me feel when I see you guys using it - I turn to it in times of need and hope you will, too. A person who's well and truly got this is Ingrid Nilsen, who made a video coming out to her audience on YouTube which was so brave and beautiful that I decided to make a reaction video showing that I'm an ally for anyone out there. 2015 was a progressive year for LGBTQ+ rights, and I can't wait for love to win even more in 2016. July was a fantastic time for my hair, as I went blonder. And I bloody love it. Another thing I loved was Ascot, as my corker of a big brother and I headed to the racecourse for the weekend to pretend that we were posh and stuff, which was fun. The vlog is here and the outfit details are here, if you're interested! Another vlog I absolutely adore with every fibre of my being simply because of the memories that it holds is this one, of Sam Smith's first gig of 2015 at Thetford Forest. I went with my gorgeous friend Yasmin and it was absolutely one of our highlights of the year - nothing quite beats watching one of the best voices of our generation sing songs that got you through heartbreak whilst tearfully singing along with your best gal pal by your side! Something else that left me happy crying was hitting 10,000 subscribers on my channel, which is something I never expected to happen in a million years and I'm still not quite over it months later. Considering I celebrated 100 subscribers, 100 times that is crazy to me and I felt so incredibly humbled and happy. As I'm sitting here (1am on the 1st of January 2016, oh hey!) I'm trawling back through posts to see what I actually did this year and for some reason August was looking bare - until I realised that I went pretty hard on the filming front in August and was churning out those videos left right and centre. You go, Glen Coco. September brought lots of smiles with it, as an email dropped into my inbox that quite honestly made me do a little excited jiggle at my desk - an invite to my first YouTube-y event! The Fleur De Force Beauty launch was pretty darn special and I'll never forget it as I just felt so lucky to be there, meeting people I've watched since I was a nipper and feeling 'part' of this online world that I've loved for so many years from the outside. My best friend and I also did something we've wanted to do for a very long time but never thought would come to fruition - we saw One Direction live in London. We fangirled, we cried at You and I, we hugged, we danced our little hearts out like nobody was watching and we breathed the same air as Harry Styles. October is my birthday month and this year I turned twenty-two, and of course I'm going to savour being able to sing Taylor at the top of my lungs until the 22nd this year! 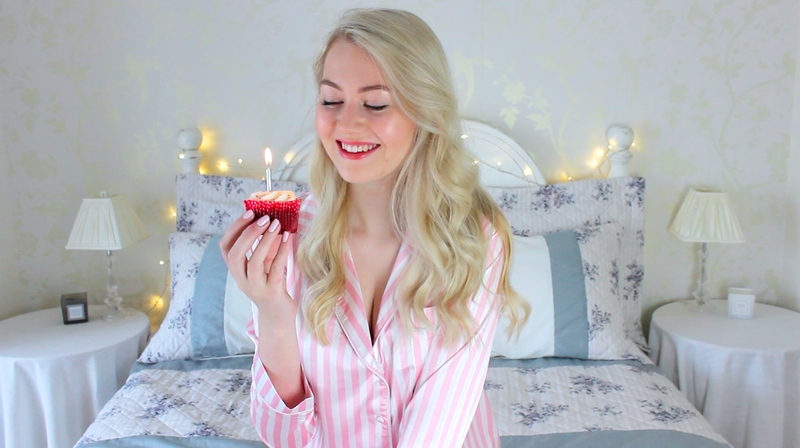 I made a birthday video that I'm a teensy bit proud of - most of my videos are 'sit down in front of camera and waffle for twenty minutes'-type affairs and I really enjoyed doing something slightly different with this one. It was a nice feeling to work harder on the production of a video and it's a feeling I'm going to chase in 2016! As always, it was a birthday spent with family and close friends - just the way I like it. One of my favourite presents has to be One Direction tickets because yep, I went to go and see them again in Sheffield and it was glorious, simply glorious! 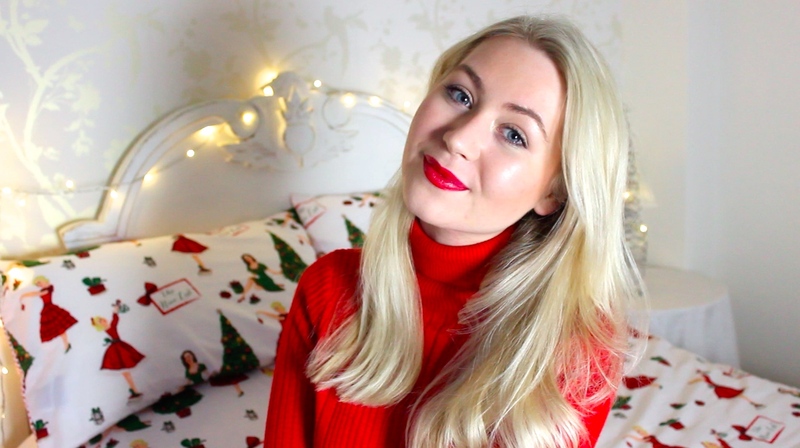 Something stupidly exciting happened in November - I filmed a collaboration video with Lush Cosmetics. Excuse me whilst I pinch myself because that's the stuff my dreams are made of, my friends! We also announced that I'll be doing my first ever meet-up in the Norwich store this year, so stay tuned for those details... I CAN'T WAIT TO HUG YOU! Things got super duper exciting around this neck of the woods also as Meg Says underwent a full-on redesign, in collaboration with blog designer Pretty Little Things and illustrator (and good friend of mine!) Polly Fern. I can't thank them both enough as I couldn't be more pleased with the outcome, and my love for blogging has been well and truly reignited! You might've seen mine and Will's little faces pop up in one of the Michalak's vlogs this month - this one, to be exact! - and spending such lovely, quality time with Hannah and Stef during the festive period was beyond nice. Relationships always strike me as the most meaningful parts of every year, and making new friends with good people is just the best. December saw my little YouTube channel turn one year old, which in turn saw me get me very overwhelmed with gratitude and basically just all of the warm fuzzies. I gushed about you all in this special video as well as this special post, and meant every word. I also daily vlogged up until the 25th, spent tons of time with my family and friends, wrote about living with M.E, hit 30,000 subscribers, ate lots of cheese and crackers and had a pretty kickass red Instagram theme. It was a stunning year with so many highlights that I feel incredibly lucky to have lived through. As with every year there were ups and downs and each day brought its challenges, but I'm not sure if we'd enjoy the happy times if life were plain sailing 100% of the time and those moments make me appreciate the good ones that little bit more. I don't think I'll quite be able to say thank you enough for everything you've done for me this year - I feel as if I've truly found my 'thing' in YouTube and I couldn't be more excited for all that's to come which is all thanks to you. How was your 2015? 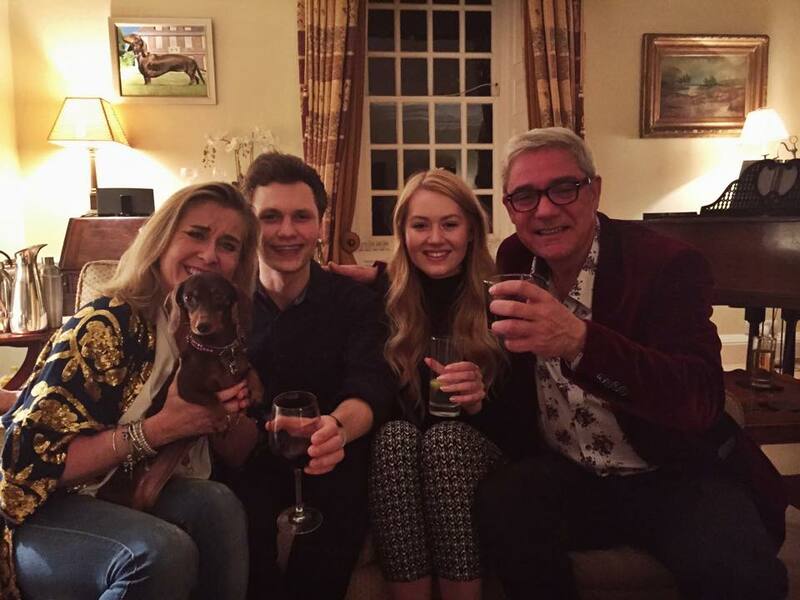 Cheers to 2016, I hope it brings only the best for you - make it one to remember!